I was visiting a certain country and I met a certain gentleman. He was a martial arts expert and of course I knew his reputation and I had only respect for him and his achievements. He introduced himself ” I am Grandmaster XYZ, he is my friend, Grandmaster ABC and together we will wait for my son Master XYM then we will go to visit Great Grandmaster CBD. This happened however, after my previous encounters with a Supreme Great Grand Master and a Master of Almightiness so I was prepared. I couldn’t stop asked myself, why some people cannot just use their names? And what should I call them? Sir Grandmaster? Ms Almightiness? Why is this happening only in some areas of Martial arts? I’ve never heard of Great Grand Master Buakaw. But oh wait… he is way to young to be called like that. He surely doesn’t know all the hidden parts of his art does he? I haven’t heard of Grand master Lennox Lewis or Mater of Almightiness Mike Tyson either. Oh yes It’s because they don’t practice martial arts but “just” combat sports. Well if practicing combat sports will help get rid of your ego, I would say it’s a darn good method to become enlightened and go of further on your spiritual path. That’s the biggest difference between Combat sports and Martial Arts. The spiritual path. 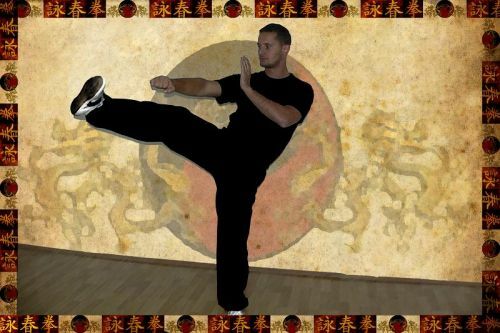 Martial artists claim that there is something more than just fighting. It’s a lifelong practice and continuous evolution. Which Is absolutely true. However, in some cases only a giant ego is developed. A Combat sport becomes a Martial art only because of “you” . No matter the name, a martial art is just a, trading punches and throws system, developed in order to kill or maim your opponent. There’s absolutely nothing spiritual in this. Only and only if you turn that activity of trading punches into a way of self discovery It can become a spiritual path. Otherwise no matter what you do or what you name it, it’s just trading punches in good or bad way. Funakoshi ( Shotokan karate) used the concept of Karate-do as a ” spiritual path. same as Aiki-do or Taekwon-do. “DO” means path or way and it has something to do with using karate as a path of self improvement. That happened because those people, had a spiritual journey OUTSIDE their martial art. It comes a moment in a man’s life when one cannot live in duality anymore. Cannot go on, hitting and kicking people during the day and praying for peace during the night. We have to integrate the two aspects in our life so the combat sport becomes a spiritual path. However, a spiritual path is incompatible with egotistic behavior, violence, lies and so on. Why then this inflation of titles in the world of martial arts? I guess it’s ok if your students call you master grandmaster or whatever pleases them instead of “hey dude”. Being dismissive towards the person you are learning from is also not a good thing. I had really difficulties calling myself even Instructor or Sifu not to mention master. I am far from being a master in my own eyes and I think I have always more to learn. I guess even after 20 years of practice I am still a student. Ego is the root of all evil I might say. Insecure people will always try to cover themselves with papers, titles and pictures. They will always depend on the image they project outside to fill in the void inside. And from the human nature’s perspective I can understand that. What would you call yourself if all the people around you were Masters or Grandmasters? Slowly, slowly, the name itself becomes devoid of real meaning. There is an inflation of names titles and everybody can get one. Really not a big thing anymore. There is another reason why people use the fancy titles. It’s because they need followers for fame or money or both. Sometimes it’s just martial arts business. People don’t follow XYZ but they follow Grandmaster XYZ. We live under the impression that we can learn something more from Grandmaster than from someone lacking this title. We don’t see the person we see the image. The best way to control people is by having them dream about something. The harder to get the more they want it. It’s just an image and a mind trick. It’s a self give sign of authority like the uniform and pictures taken with other famous Grandmasters. Endorsing each others is a good promoting tool. Everything we hear is an opinion and everything we see is a perspective. We act based on our perception and not based on the truth. A true teacher will encourage you to think independently, to grow strong enough to follow your own path and he will help and teach you according to your needs. He will respect you at least as much as you respect him because we are all human beings walking on the same path.